Titan Garage Doors provides full service garage door repair and garage door installation in West Vancouver to residential and commercial clients. If you are hoping to have your garage repaired or replaced quickly with minimum down time, then we are the best choice for you. We offer a full range of repair solutions to common and not so common garage door problems and can provide you with any repair and maintenance needs you have in West Vancouver. ● By choosing Titan Garage doors to replace the faulty spring in your West Vancouver garage door you can be certain that the replacement part will be installed by professionals of the highest caliber. Due to the nature of garage door springs, you should not attempt to install a new one of these yourself as there is a significant chance of injury. This is especially true if the garage door spring is corroded. 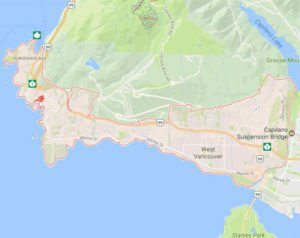 ● One of the other, more common reasons that your West Vancouver garage door may be malfunctioning is that the cable is out of alignment or broken. The Titan team is on hand to repair or replace any garage door cable component so you can go back to enjoying your perfectly functional garage door. If you are in West Vancouver and need a new garage door installed or you are looking to have an existing garage door repaired or replaced then don’t hesitate to get in touch with Titan Garage Doors today at 604 313 0108.